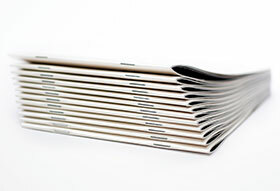 "4edge is a first-class printer in book printing. It delivers quality products, on time and with a minimum of fuss." "We use 4edge because they deliver on everything they say. Impressive quality at an affordable price." 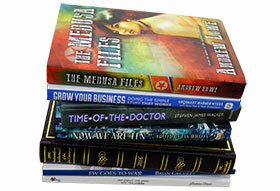 Book binding services available to the printing trade for paperbacks and hardbacks. 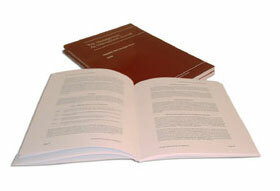 Special finishes including leather binding. We are short run book printers specialising in black and white and colour book printing of paperbacks and hardbacks from 10 copies plus. PUR available. 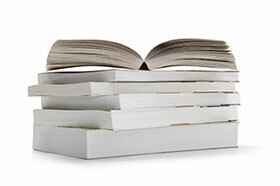 We are renowned for our flexible book printing services and quick delivery schedules – paperbacks are typically produced within 5 working days. Quickly distribute your eBooks to all online marketplaces, including Amazon, and easily monitor sales through our sister company, Vivlia Ltd. Whether you work for a large multi-national publisher or are a self-publisher or first-time author looking to print your own book for the first time – you, the customer, receive individual attention at all times. We back our high standards with keen pricing – and customer service built on flexibility and communication that is the envy of the book manufacturing trade. We keep you informed about the progress of your job from receipt of order to delivery. For more than a decade, we have combined up-to-the-minute technology with the traditional expertise of the craft printer. This rich experience has enabled us to offer quality and value to our customers.But quality on its own is not enough. Our success has been the direct result of our commitment to customer satisfaction which is our number one priority. Even with our significant investments in state-of-the-art digital printing equipment, we continue to build lasting customer relationships based on the fundamental business practices of honesty, availability, quality and hard work. We understand the importance of a precise and reliable schedule. We work with you to produce a practical, dependable timetable that delivers your printed books when you want them, where you want them. “The books have arrived and I am so thrilled with the final result. You have been absolutely fantastic through the whole process and I was very lucky to come across 4edge on the internet – such a lucky search.